Built in an area that is notorious for severe weather and power outages, having a continuous source of power was a top priority for Nemours. A reliable power management system not only allows equipment to function 24/7, it ensures a safe and comfortable environment for staff and patients. In order to design this power management system, Nemours joined forces with Schneider Electric and its team of EcoXpert™ partners. 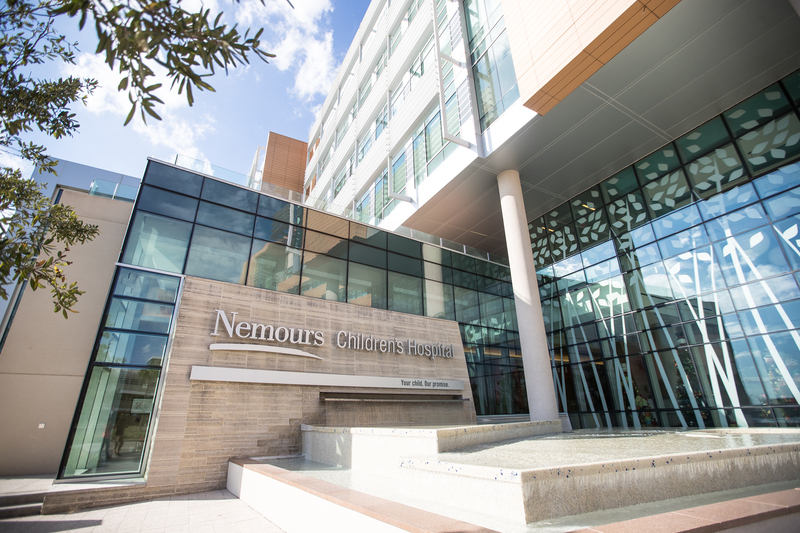 By working with Nemours in the early design stages, the teams were able to gain an in-depth understanding of the hospital’s needs. By implementing Schneider’s EcoStruxure™ for Healthcare solutions – which includes power monitoring, predictive analytics, access control, and immediate battery backup – Nemours ensured its patients and staff will never be left in the dark. Knowing the facility will always have clean, reliable energy allows the hospital staff to focus less on power management and more on delivering life-saving treatments to children in need. Big thanks to Schneider Electric for helping children hospital to provide comfort and a safe environment by their EcoXpert™ partners.